Most vaccines work by inducing an immune response characterized by neutralizing antibodies against the respective pathogen. An effective HIV vaccine has remained elusive so far, but researchers have continued to make progress, often employing innovative methods. 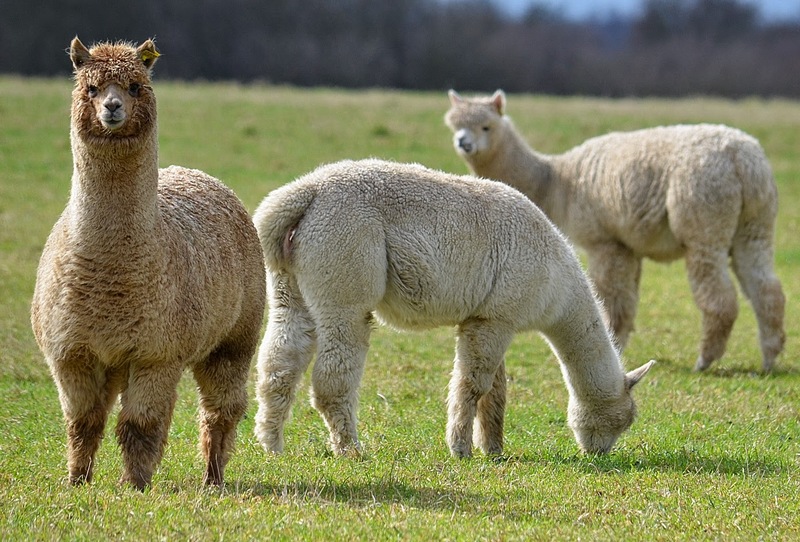 A study published in PLOS Pathogens reports that a combination of antibodies from llamas can neutralize a wide range of circulating HIV viruses. After initial disappointment that HIV vaccine candidates were unable to elicit neutralizing antibodies, researchers found that some HIV-infected individuals did produce such antibodies. The current challenge is therefore to find safe and effective vaccine formulations (as opposed to HIV infection) that trigger the development of neutralizing antibodies that can recognize and prevent infection with all or most circulating HIV subtypes. Many known neutralizing antibodies are directed against a specific part of the virus that binds to the CD4 receptor on the human target cells, and structural biology studies indicated that the site is a narrow groove. Antibodies in most mammals are relatively large proteins made up of two copies of two different individual parts (or chains), and bulkiness might be one reason why neutralizing antibodies are rare. Llamas are a notable exception: besides the common four-chain antibodies they also produce smaller ones made up of only two of the four chains. Researchers therefore started working with this unconventional research animal. Having previously identified one particular HIV neutralizing llama antibody, for this study the researchers immunized two additional llamas and identified a total of three new neutralizing antibodies. The four HIV neutralizing llama antibodies target different parts of the CD4-binding site of the virus, and the researchers could show that when used in combination, rather than interfering with each other, they are more potent and can neutralize all of the 60 different HIV strains tested. To understand how the llama immunization - which included two sets of four sequential vaccine injections per animal - worked, the researchers sequenced many copies of antibody-coding genes from blood cells collected after the first set of immunizations and after a further four rounds of vaccination. They also looked at the "naïve" antibody repertoire from seven llamas that had not been vaccinated. The results suggest that the neutralizing antibodies were not part of the pre-immunization repertoire, nor were they detectable after the first vaccination round. Rather, they were generated as immune cells repeatedly encountered the vaccine and responded by maturing specific antibodies that can recognize it. While it is encouraging that broadly neutralizing antibodies were found in all of the immunized llamas, they are present only at low concentrations in the blood, and so fail to meet the goal for a protective HIV vaccine. Nonetheless, the researchers conclude that the llama model has allowed them to examine the generation of four broadly neutralizing antibodies induced by vaccination, which has not been possible in any other species. Their results, they say, "show that immunization can induce potent and broadly neutralizing antibodies in llamas with features similar to human antibodies, and provide a framework to analyze the effectiveness of immunization protocols."